So we had this idea that we would have meetings with a kind of invited group of women, who were at the similar stage of their careers and to talk about issues of common concern. 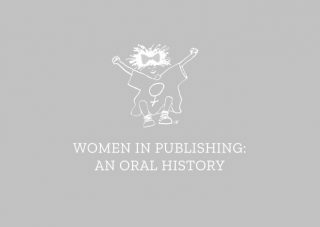 And I think the very first one we had which was held in the Publishers Association, so it was quite a formal setting and there were maybe 20 women there. And we were talking about motherhood and maternity leave and issues around balancing work and family life and it became an extremely heated discussion. At one point you could cut the atmosphere with a knife, because it raised this really tricky issue – which was that while everybody in the room really supported the rights of women to have time, to be able to take maternity leave and to prioritise their families – the women who didn’t have children were the ones who were picking up the tab for the maternity leave and the fact that the mother had to leave at 5 o’clock to collect her child. And because this whole issue is not something that publishers wanted to talk about or acknowledge or have to deal with really, it meant that the women who were acting up while a woman was on maternity leave or doing the extra hour for their colleague who had to leave at 5, those women, were effectively, the extra work that they were having to do was not being acknowledged anywhere. Sometimes it allowed a woman to demonstrate her potential for promotion, but other times a woman came back from maternity leave they went straight back into the old job, and really that was quite difficult for them. And there were also women there who ran small businesses where the costs of maternity leave, and so forth, were really difficult. So I think it is, in a society which basically expects the employer to bear most of the pain of childcare and so forth – we’re not in the happy situation that you have in Scandinavian countries – I think that those issues of employers not wanting to deal with how you have a work life balance, a fair work life balance it’s really important. I remember being at BCA with a colleague, Peter Crawshaw who has since become a good friend, and he was the first man I knew who would actually, during a meeting with directors or something say, at 5 o’clock, ‘I’m sorry I have to go now, I’m collecting the children.’ And the fact that I remember this so strongly just shows you how rare it was for any of the men, most of, or at least half of the men that I was working with had children. None of them did that, except Peter.